Since 1841, the University of Missouri School of Medicine has excelled in educating the next generation of health care professionals. Known as one of the nation’s most progressive medical education programs and fastest-growing research programs, the MU School of Medicine prepares physicians to improve the health of Missourians and the nation by providing excellent health care education and creating new knowledge through research. Master’s and doctoral degree programs in investigative areas from molecular microbiology and immunology to health management and informatics. Students also may pursue a course of study that combines medicine and the basic sciences through the Tom and Anne Smith MD-PhD Program. Students in each track benefit from patient-based learning, a style of medical education pioneered at the MU School of Medicine that emphasizes problem-solving, self-directed learning and early clinical experience. The University of Missouri School of Medicine has expanded its medical school class size from 96 to 128 students to address a critical shortage of physicians in Missouri and the nation. MU’s medical school accepts students each year through a traditional application process and through the Lester R. Bryant Pre-Admissions Program for young people coming from rural backgrounds. 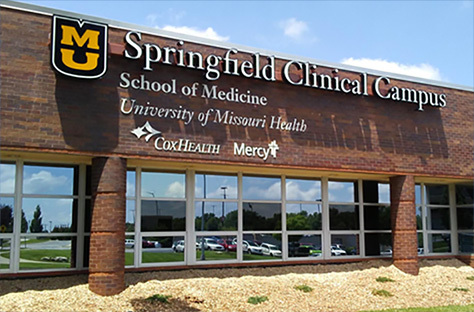 Medical students spend their first two years at our Columbia campus and have the option to spend their third and fourth years in Columbia or at our Springfield Clinical Campus, which operates in partnership with CoxHealth and Mercy health systems. Learn more about our campus in Springfield, Missouri, and our class-expansion project. The patient-based learning curriculum uses patient cases to teach medical students the basic sciences in the context of a real physician practice. The small-group learning environment is supported by early exposure to patient care, a rural track that offers clinical education in underserved areas and many other innovative programs. MU’s medical student program has been profiled in the Journal of the Association of American Medical Colleges, which has also published an extensive study on the success of MU’s curriculum. More than 30 percent of MU physician graduates stay at the university for its graduate medical education programs. MU’s medical school has more than 400 residents and fellows in nearly 50 specialty programs. The programs focus on the development of clinical skills, professional competencies and factual knowledge required by each specialty. The school’s residents and fellows benefit from a close association with other physicians, active participation in patient care and teaching, and a variety of opportunities to pursue their research interests. 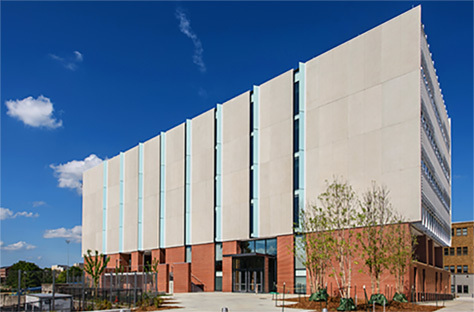 The medical school educates more than 200 students pursuing master’s and doctoral degrees each year. The degree programs include biochemistry, health management and informatics, medical pharmacology and physiology, molecular microbiology and immunology, nutrition and exercise physiology, and pathology and anatomical sciences. 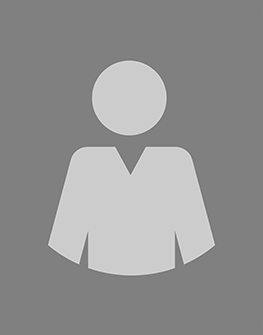 Students in these programs typically pursue a two- to five-year course of study that is interwoven with the scholarly activities of the faculty researchers in their degree programs. The Department of Family and Community Medicine offers an online master’s degree in academic medicine for physicians who want to pursue an academic career teaching and conducting research. The Office of Continuing Medical Education and Physician Lifelong Learning (CME/PLL) addresses and responds to educational needs in Missouri not adequately addressed in other forums and by other providers with a particular focus on primary care physicians in rural areas through annual conferences targeting their particular needs. CME/PLL embodies high standards regarding the ethical conduct of CME activities that are consistent with the Guidelines of the ACCME and promote effective education. 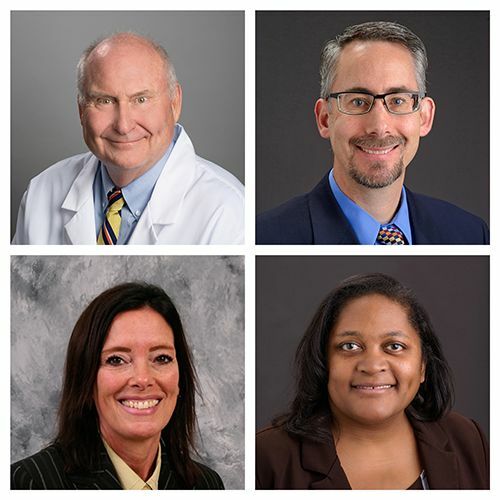 The Russell D. and Mary B. Shelden Clinical Simulation Center offers programs to improve patient care and safety, explore new research opportunities, and provide lifelong learning experiences to health professionals in all areas of care. If you’re considering a career in medicine, we can help you learn more about the health professions through our intensive camps. If you’ve already decided on a career in medicine, our MedPrep workshops can prepare you to be a competitive medical school applicant.